On the last day of the festival, the great day, while Jesus was standing there, he cried out, ‘Let anyone who is thirsty come to me, and let the one who believes in me drink. As the scripture has said, “Out of the believer’s heart shall flow rivers of living water.” ’ Now he said this about the Spirit, which believers in him were to receive; for as yet there was no Spirit, because Jesus was not yet glorified. I am very fortunate to be able to say of my life as Norman MacLean named his novel, “A river runs through it”. I grew up on the banks of a river, have lived in many towns with rivers running through them and now am at Port Alfred where the Kowie river mouths into the endless and deep sea. 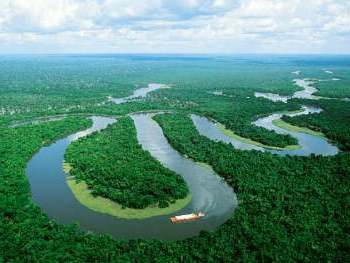 As we have seen with Forests, Land and Wilderness in this Season of Creation; rivers also are vital to the life of the planet. They are the conduits of essential fresh water for the land. Nile, Amazon or Ganges the river is also an archetypal image of the life of Spirit. Just like rivers we polute or neglect our heartsprings at our peril. That must be why the river is seen as a symbol of the life of God and the process of renewal in the Christian Scriptures. I recently watched a re-run of the classsic movie Ben Hur. It was intriguing to see how the movie maker Ben Wyler depicted the blood flowing from the Cross mingling with a river and moving ever onwards across the landscape. Rivers of meaning, rivers of renewal, rivers of dreams. I think Billy Joel has glimpsed that the river is God. In traditional African religion the river is a place where the depths of God is found. Children who drown must not be mourned for they will return as healers someday. In the West we seem obsessed with damming or bridging rivers. It is as if we resent the river’s inexorable flow. When will I realize that the other bank of the river is exactly the same as this one that I am trying to escape? Why don’t I plunge into the depths as Ezekiel’s vision invites me to. If I am lucky, I too will end in the ocean of God’s immense and restless Love.